Manchester United striker Wayne Rooney turned down the chance of joining Chinese Super League side Beijing Guoan in the summer. The England international's future has come into question this season due to his failure to land a starting berth under Jose Mourinho. 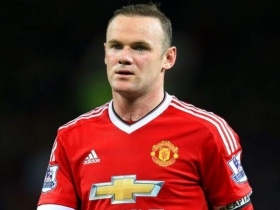 According to Beijing's chairman Luo Ning, Rooney had received a contract offer from his side over the summer, but the 31-year-old was more than content to remain in England. "We indeed made an approach for Rooney at the beginning of the season but he's informed us that he wants to stay in Manchester United," he told Sports Night Talks. He added that the Red Devils captain is willing to end his career in the top flight, and has no intention of joining a fresh league in the future. Rooney, who is contracted to Manchester United until 2019, assisted a couple of goals in the 3-1 win at Swansea City last weekend.